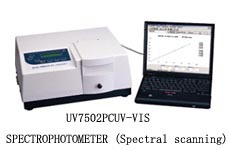 UV7502 series is single beam spectrophotometer that analyzes specimen materials in the ultra-violet and visible spectral range. Its high precision and reliable performance made it ideal for applications in medicine, petrochemistry, agriculture, food industry, biochemistry, environmental protection and many other fields. 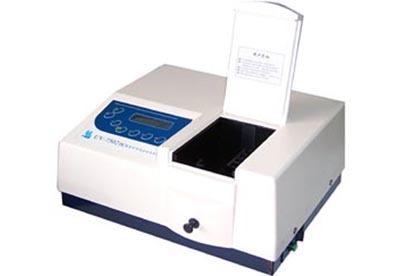 ※ Easy operation: Built-in microcomputer, pannel with simple keys, LCD display and spacious sample compartment. ※ High precision and working stability: The high reliability is achieved with the installation of a CT monochromater. ※ Advanced calculation and high automation: New micro-processing technology is applied to strengthen the data processing. 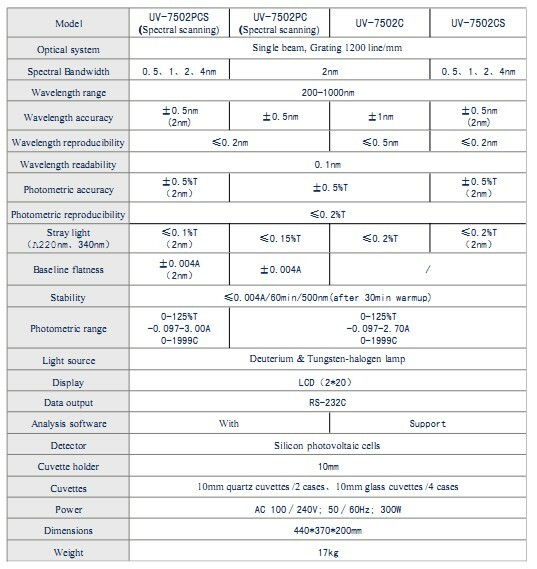 ※ Automatic interchange of wavelength and auto position adjustment of UV and Vis lamp.